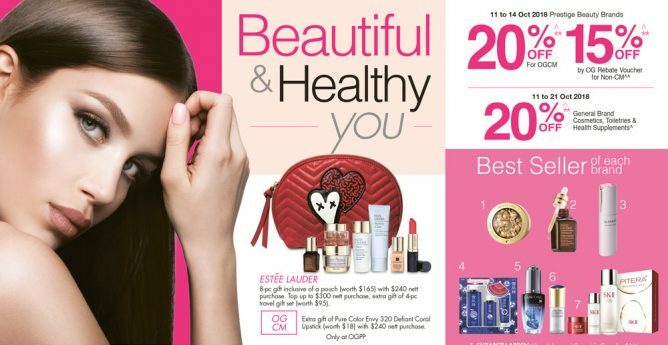 Home > Department Store > OG Singapore: Get 20% OFF Prestige Beauty Brands’ Regular-Priced Items & 20% OFF General Brand Cosmetics, Toiletries & Health Supplements! 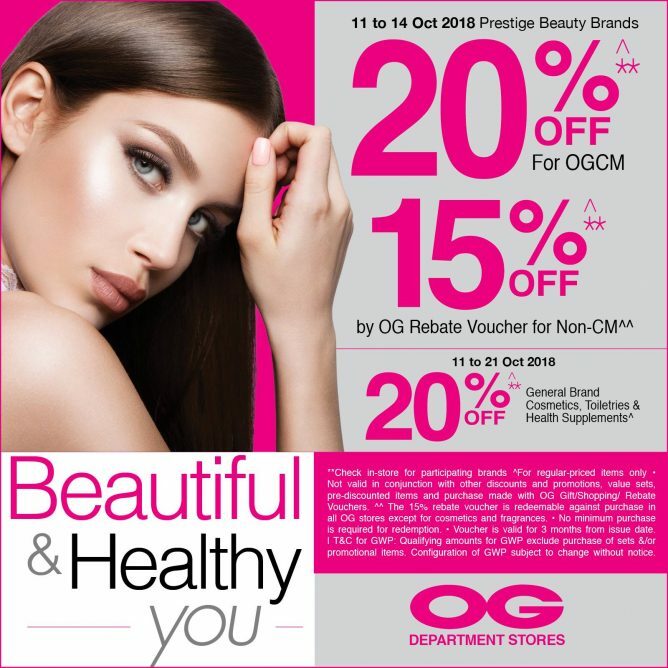 Till 22 Oct 2018 OG Singapore: Get 20% OFF Prestige Beauty Brands’ Regular-Priced Items & 20% OFF General Brand Cosmetics, Toiletries & Health Supplements! 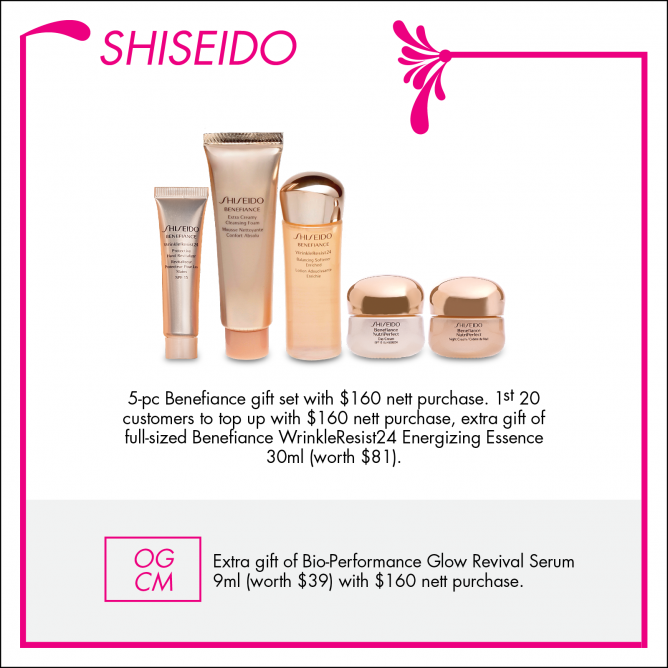 Are you looking to improve your beauty and health regimen? At OG, you can get the latest range of beauty and wellness products that will help you achieve your desired results inside-out for a “Beautiful and Healthy you”! 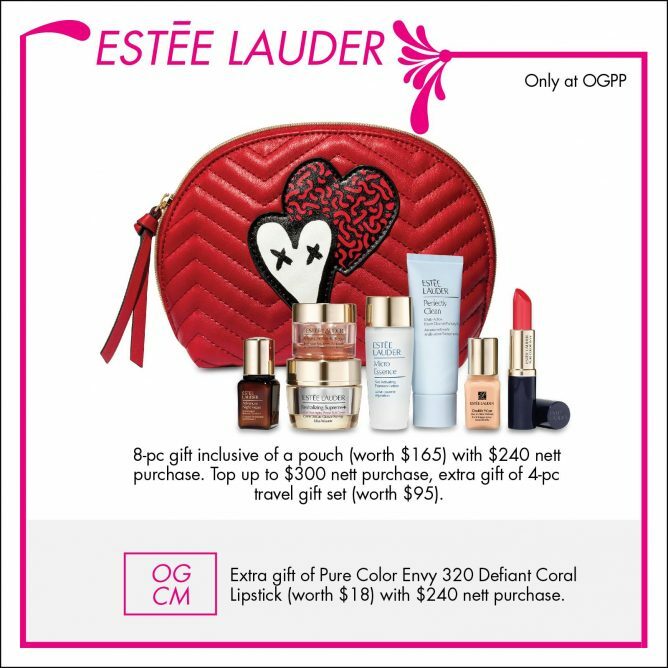 From 11 to 14 Oct 2018, if you are an OG Card Member, you can save 20% on Prestige Beauty Brands’ regular-priced items. Non-members will receive 15% off by OG Rebate Voucher. 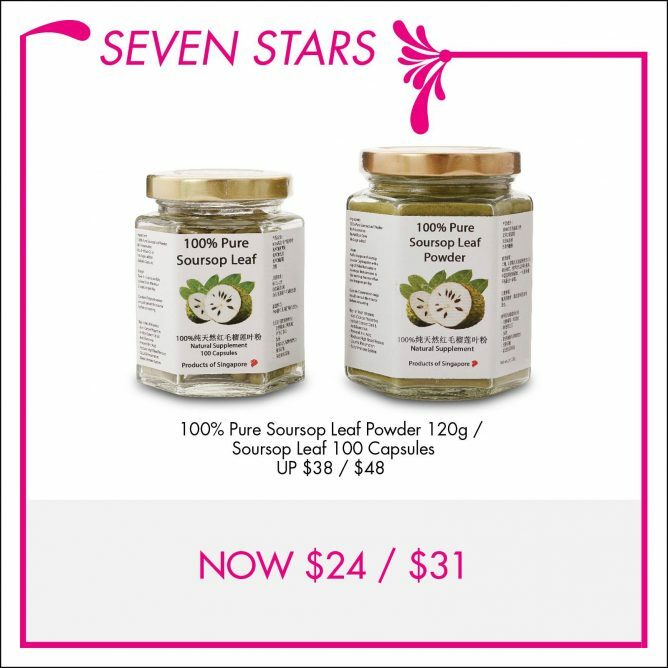 PLUS, from 11 to 22 Oct 2018, all shoppers can enjoy 20% off regular-priced general brand cosmetics, toiletries and health supplements! Terms and conditions apply. Please check in-store for more details. 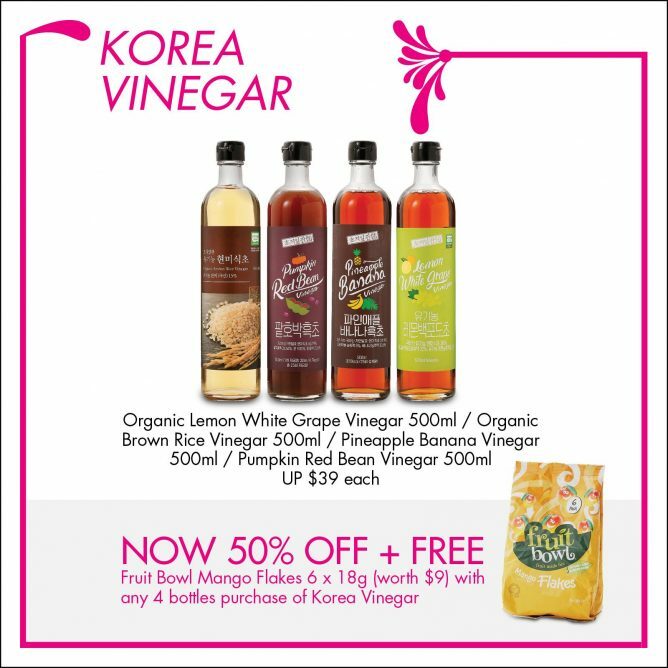 Not valid in conjunction with other discounts and promotions, value sets, pre-discounted items and purchase made with OG Gift/Shopping/Rebate Vouchers. The 15% rebate voucher is redeemable against purchase in all OG stores except for cosmetics and fragrances. No minimum purchase is required for redemption. Voucher is valid for 3 months from issue date. 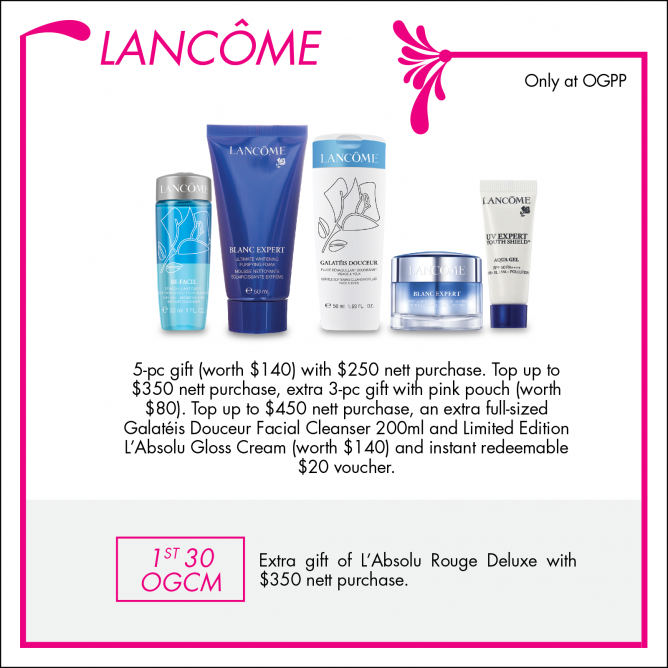 Lancome 5-pc gift (worth $140) with $250 nett purchase. 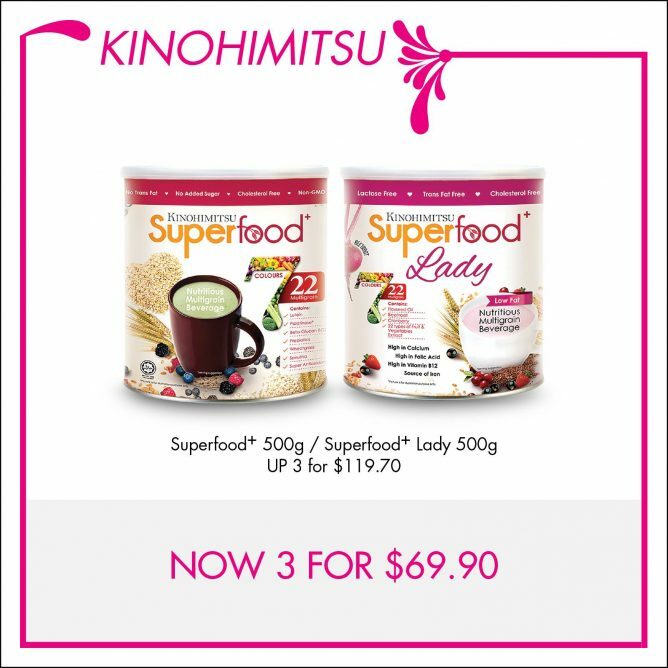 Top up to $350 nett purchase, extra 3-pc gift with pink pouch (worth $80). 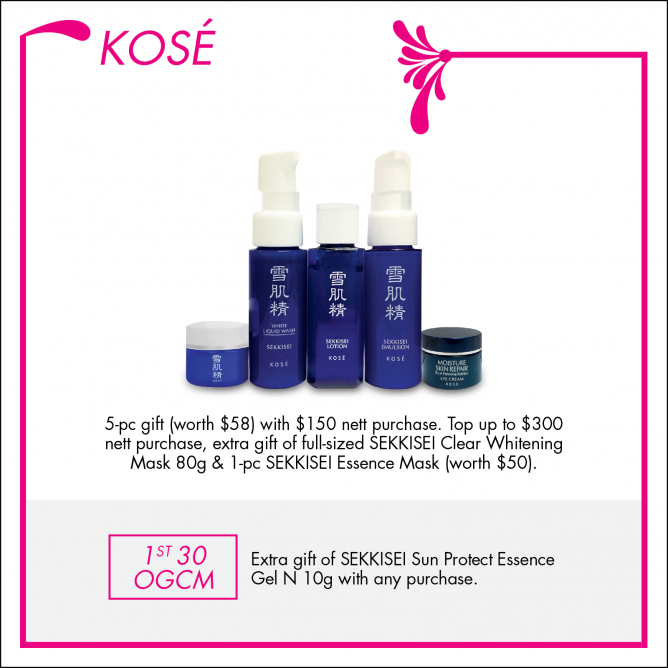 Top up to $450 nett purchase, an extra full-sized Galateis Douceur Facial Cleanser 200ml and Limited Edition L'Absolu Gloss Gream (worth $140) and instant redeemable $20 voucher. 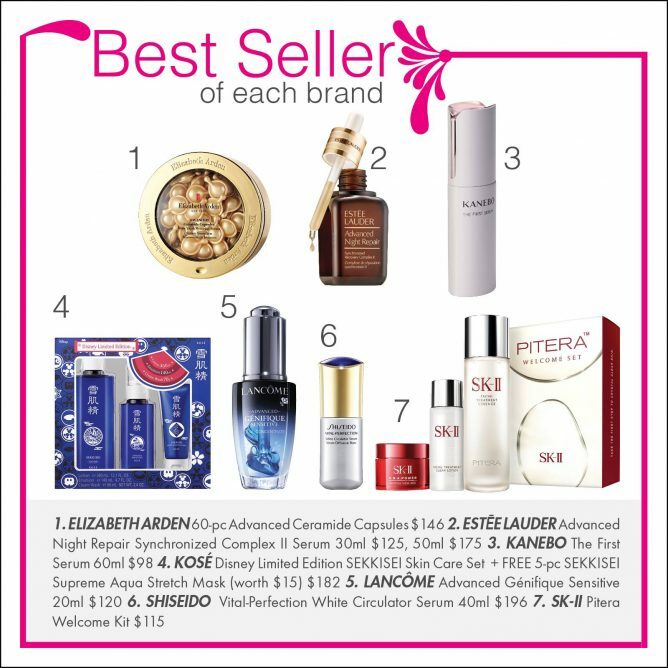 SK-II 3-pc gift with $460 nett purchase. 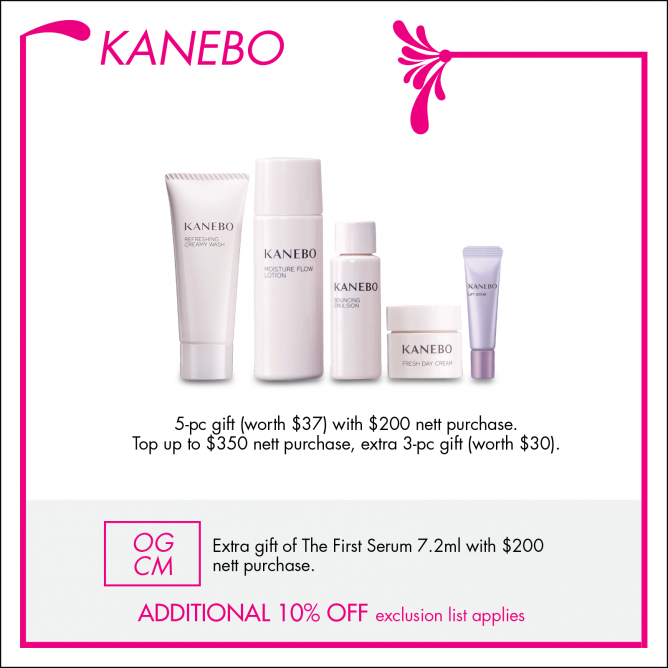 6-pc gift set with $860 nett purchase. Next: Tony Roma’s: Save Up to 36% on Super Value Weekday Set Lunches at Suntec City!